Art is Math - Most children love art but some struggle with math. So teachers in Plainfield have come up with a plan to combine both to energize and excite their students. Woodland Elementary School students meet after school for an Art is Math, Math is Art program that allows students to explore textile pattering and designs of Central America. With a focus on patterns, designs and textiles from Central America, the school community celebrates their cultural heritage. 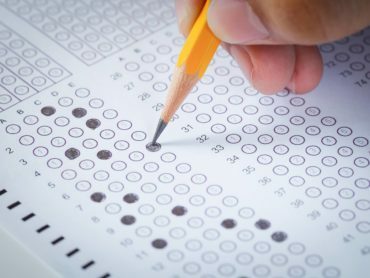 No state in the nation scores statistically higher than New Jersey when it comes to the average 8th Grade Math NAEP scores among either African- American or Hispanic Students. Source: National Center for Education Statistics. 2015 NAEP Mathematics: Nation’s Report Card. October 2015.